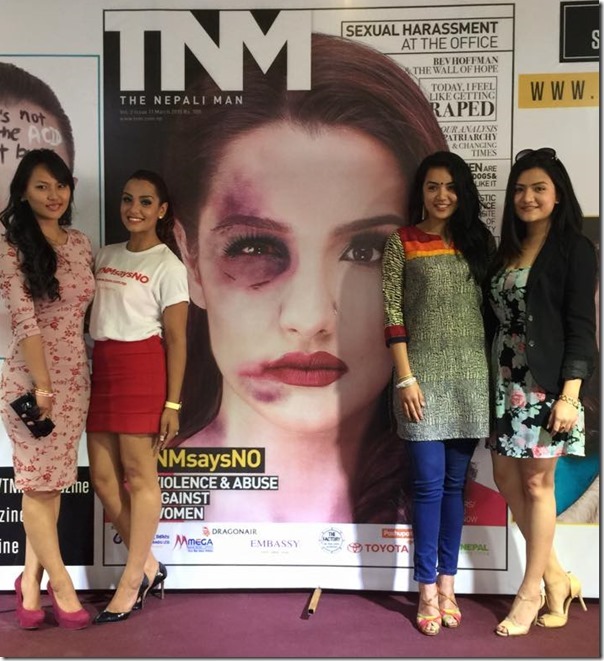 Actress Priyanka Karki has started a social awareness against violence against women in association with TNM magazine. 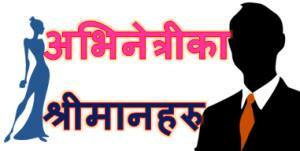 In the press meet organized on Friday, the campaign against violence against women was announced. The cover of the special issue of TNM was also unveiled during the event. 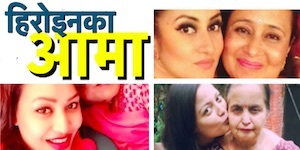 With Priyanka, ex-Miss Nepal and models including Jenisha Moktan, Sadichha Shrestha, and Suvekshya Khadka were present in the program to support the campaign. 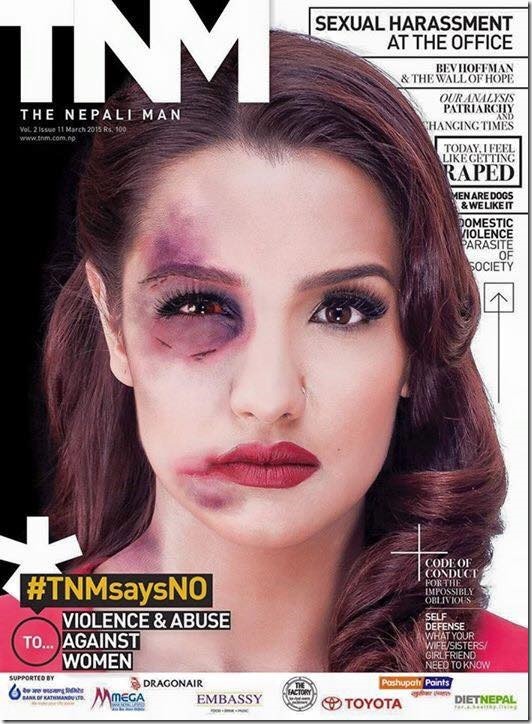 We wrote and shared one of the designs of the cover of of TNM magazine featuring Priyanka Karki’s photo on Tuesday. Priyanka also says that women are being blamed for provoking by wearing revealing clothes or going out late at night. Such mentality of the society needs to change if we truly wants violence against women to end. 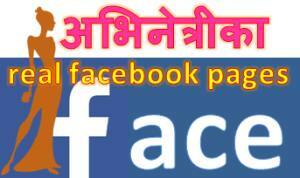 This entry was posted in News, Photo Gallery and tagged cover girl, Priyanka Karki. Bookmark the permalink.